Set amidst the canyons north of San Diego, Rancho Bernardo, California, is a beautiful master-planned community. Real estate here might have stunning views of the mountains or the rolling hills that are part of the surrounding landscape. Living here, you will have an array of private parks and community services available. Access to I-15 makes travel easy, especially to San Diego. A number of neighborhoods within Rancho Bernardo offer such features as gated entrances, spacious floorplans, privacy, fairway views, single level floorplans and more. Among the fine communities are Bel Etage, Fairway Point, the Trails, Vezelay, and the Greens as well as other distinctive neighborhoods. A number of homes are priced above $1 million but other properties, such as condos, begin in the $200 to $300 range. You might find a lovely condo at Waterbridge that includes stunning views of a pond or waterfall as well as the scenic greenbelt. Homes and condos in Rancho Bernardo are close to shopping as well as Pacific Ocean beaches and Lake Hodges, where families can fish, boat, picnic or hike the trails. 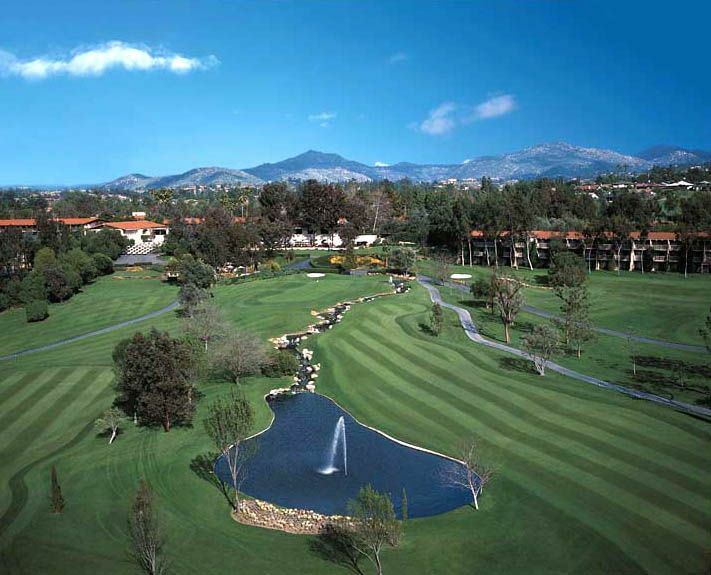 Golfers will enjoy living near Rancho Bernardo Golf Club, with its championship greens as well as host of amenities that its members can enjoy. The Country Club offers a choice of memberships and is the ideal venue for weddings and events as well as golf. Within a half hour's drive, residents of Rancho Bernardo can view the sporting events of San Diego, including seeing the San Diego Padres and San Diego Chargers in action. La Jolla is nearby, with its abundant restaurants and shopping; moreover, educational opportunities abound at the nearby University of California, San Diego. A home in Rancho Bernardo positions your family close to everything fun as well as the beauty of the nearby mountains and rolling hills.